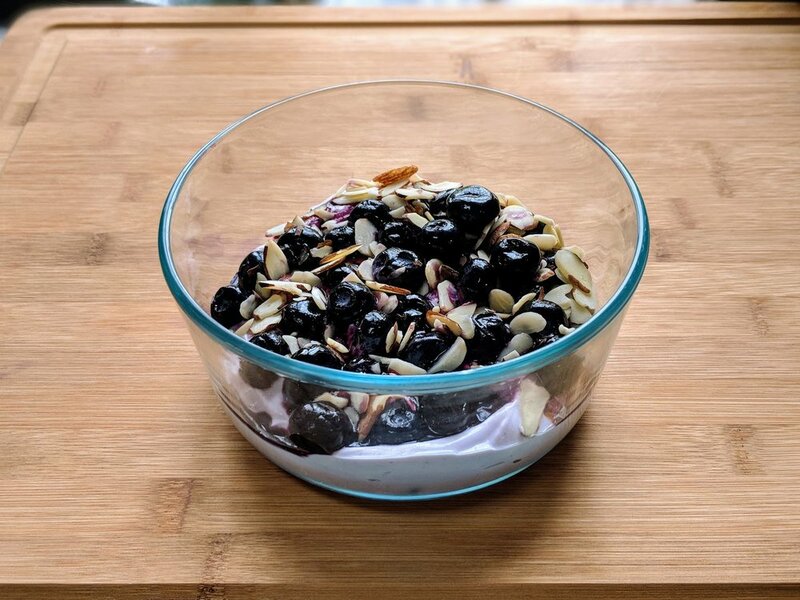 Instead, you can make your own probiotic and protein filled yogurt breakfast bowls with nutritious ingredients in bulk so they’ll be ready to grab out of the fridge and enjoy each morning. Your busy schedule, appetite and GI system will thank you! Mix all ingredients together except for nuts or cacao nibs in a tupperware container. Sprinkle nuts or cacao nibs on top to help keep them crunchy. Make in bulk for the week and store in the fridge for an easy grab ‘n’ go meal. Ryan Healy, BS Exercise/Sport Science, CSCS, has been a certified personal trainer for over 13 years and is a Level 2 certified nutrition coach through world-renowned Precision Nutrition. She is passionate about helping people change their lifestyle habits with support, guidance, and compassion along with helping clients train around their injuries so they can move better, feel stronger, and get more of what they want out of life.